Perfect for sporting events, workouts, lounging at home, and more. This long sleeve Unisex Badger Pro Heather Quarter-Zip Pullover is a great addition to your closet. Add your name, sports team, or logos. Comfortable and trendy for both men and women. Experience St. Paddy's like no other because it's time to shamrock this day by being part of the yearly St. Patrick's Day run. 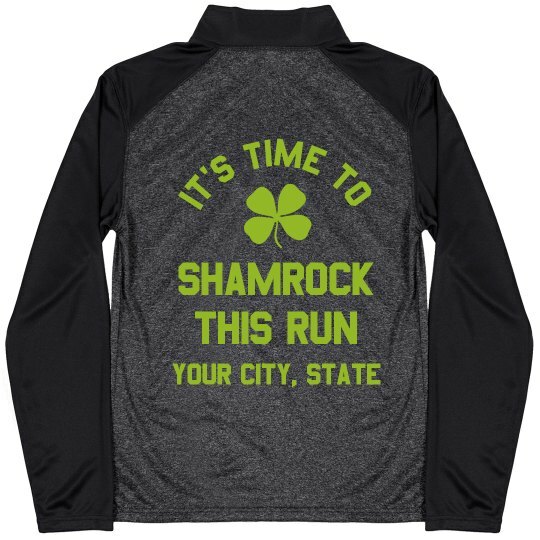 Sport a custom St. Patrick's Day sweatshirt that will keep you cool and your luck close by your side as you sprint your way to the finish line.